Justin and I first visited Uruguay in 2013. We stayed in a nice little design hotel owned by architects outside José Ignacio. Unfortunately, the weather was dreadful. It rained, no poured, every day. That was back when we didn’t always think to rent a car and so that meant plenty of rain soaked walks on the beach and windy bike rides. We made the most of our trip by dining at the fabulous restaurant Parador La Huella three times. We loved the food, the architecture and the scenery and so we vowed to go back one January, the height of summer in South America. We returned in 2016. Our previous visit made planning easy. We knew we wanted to stay in Jose Ignacio again as well as Garzón, a small town in the hills with a world-renowned restaurant and La Barra, a bohemian surf town with a long strip of shops and casual cafes. The front room at Casa Zinc. 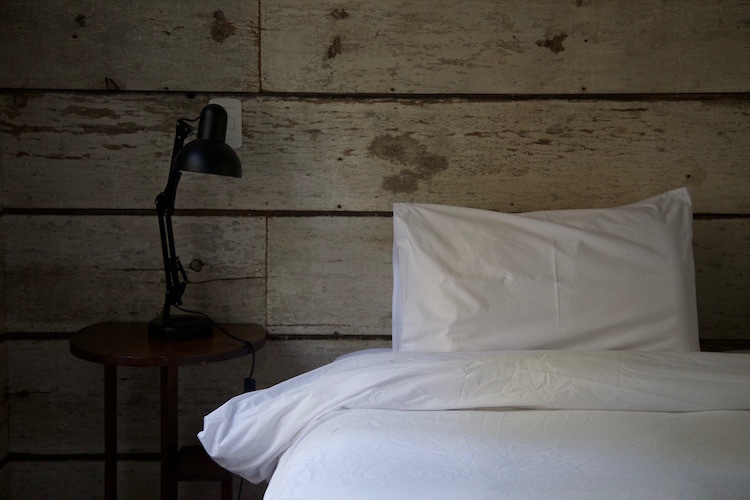 When we saw a picture of Casa Zinc, we knew exactly where to stay. The six-bedroom guest house looked like a historic brick manor house had been turned into an boutique hotel. 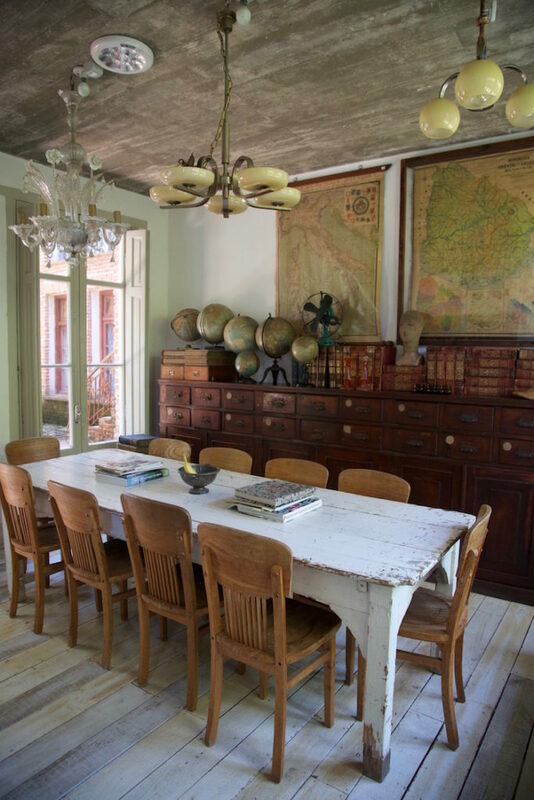 The rooms appeared to be stylish dormitories with vintage desks and chairs, globes and industrial table lamps. Historic and cool, it checked two of our most important boxes. Casa Zinc’s courtyard is a nice place for kids to play. When we arrived at the guest house, it was just as we imagined. It was located in a quiet neighborhood far enough from the hubbub. 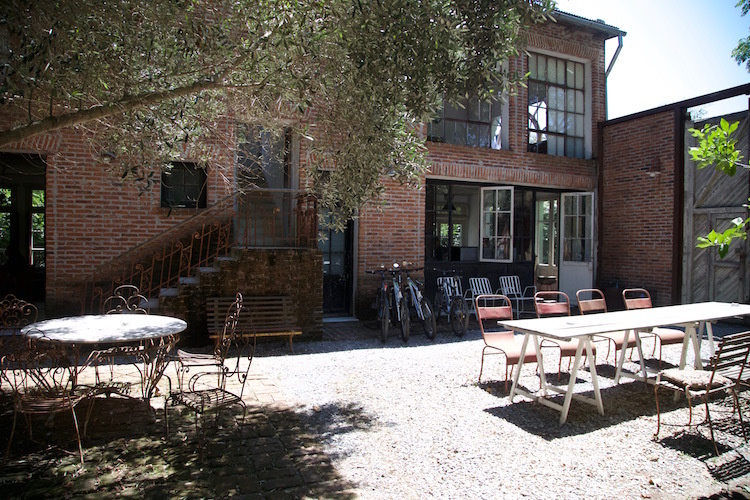 You enter through a wooden door in a corrugated metal gate that conceals a brick courtyard with an olive tree. 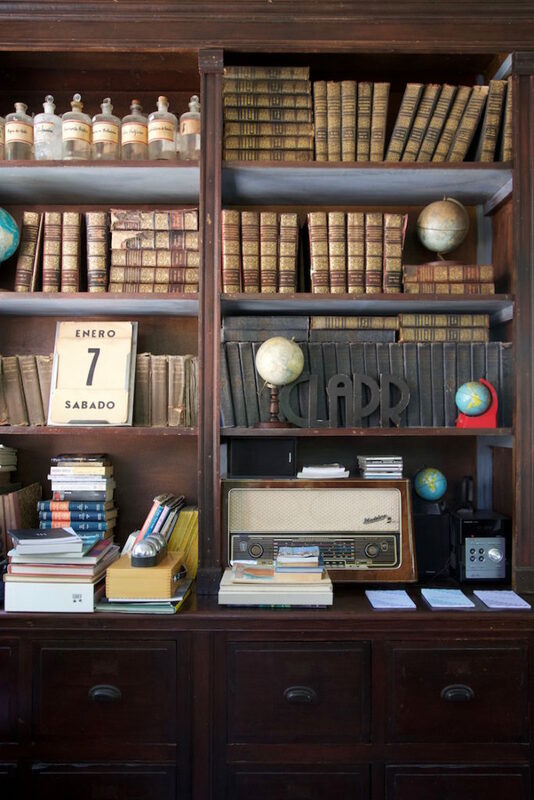 The check in area has a black and whited checkered floor, a wooden table with bar stools and a book case filled with weathered books, globes and a vintage radio. 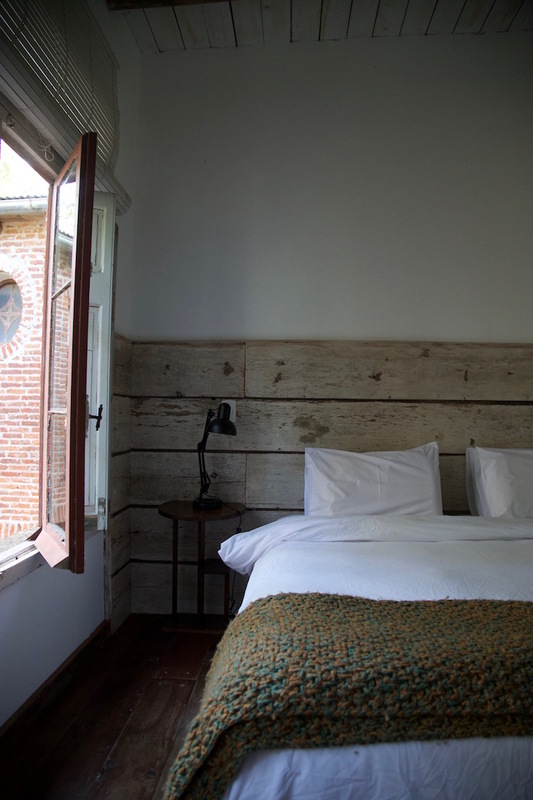 The Estudio Diseño guest room at Casa Zinc. We didn’t end up seeing him that day, but we heard more about Aaron Hojman the next morning at breakfast. We sat with a mother and daughter from Buenos Aires who were frequent guests. They loved Hojman’s style. They told us that he was a designer and collector and that he had a wonderful architectural salvage shop just down the street. They even told us that a massive bookcase that once sat in the breakfast room was now in their home. The hotel, they said, was not old at all. It was new construction, but made using old repurposed materials. This amazed me. The hotel truly felt historic and rooted. Hojman’s attention to detail is impressive. During breakfast of homemade granola and fresh orange juice, we flipped through the magazines on the tables and realized Casa Zinc and Hojman had been featured many times over in both Latin and American publications. His industrial aesthetic, comprised largely of vintage furnishings and repurposed wood, had become highly regarded. After breakfast we ran into Hojman in the front room of the hotel. We were still reeling from the results of the election and we talked politics, his other projects like a restaurant in Montevideo and about the area. He told us about an art walk taking place in Garzón, our next stop. Industrial design and vintage mesh at Casa Zinc. We went out for a run and on the way back we popped into his shop which truly was a treasure trove of vintage finds from time-worn maps to leather chairs. Everything was a bit out of our budget, but experiencing Casa Zinc definitely gave me some design inspiration for future, should we ever decide to set down roots and purchase a home of our own. 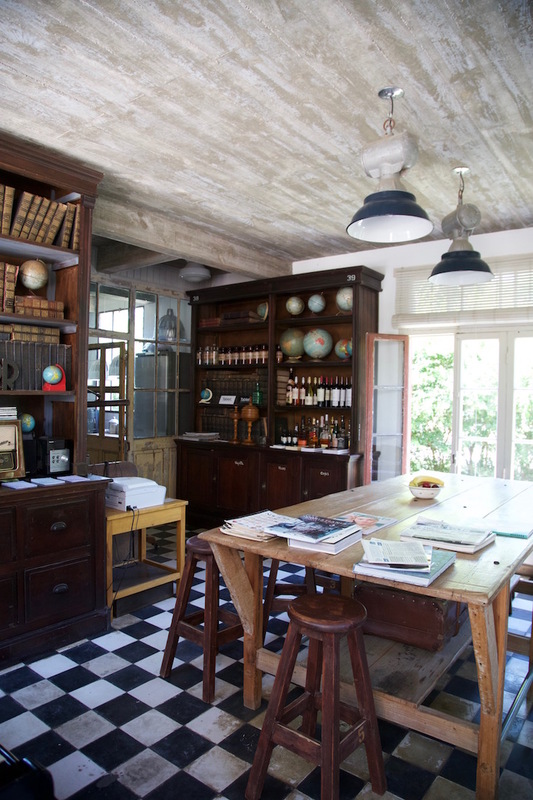 Bottom Line: Casa Zinc is a wonderful choice for anyone who appreciates design. It’s located close enough to walk to many of the restaurants and shops in La Barra, but the residential street it’s on means it stays quiet. This is really more of a guest house than a hotel. There’s no restaurant, but a nice breakfast is served each morning. Kid Friendly? Very. We stayed here when Wylie was six months old. The rooms are spacious enough for a pack and play. Older kids are very welcome. The guest room called the Back to School has three dormitory style beds. Grade: A, the bed and breakfast scale combined with the considered aesthetic of a design hotel, make this property difficult to find fault with.